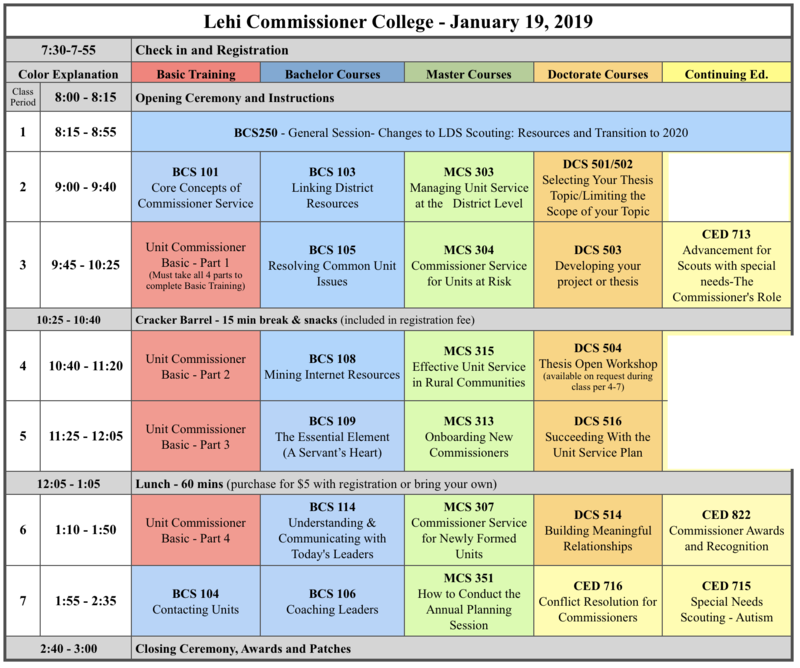 On Saturday, January 19, 2019, at 901 S 2300 W, Lehi, UT, is a day of training for commissioners. Commissioner College is one of the best ways for commissioners to get continuing education in their critical role. Walk-in Registrations (Cash preferred) are welcome, however, the option to purchase a lunch will be available on a limited basis. 1. You can complete up to 7 courses at this college (Instructors receive credit for the class they are teaching if registered). 2. To receive a diploma at this event, you must be currently registered as a Commissioner. Basic Training Options - (Required for Bachelor Degree). 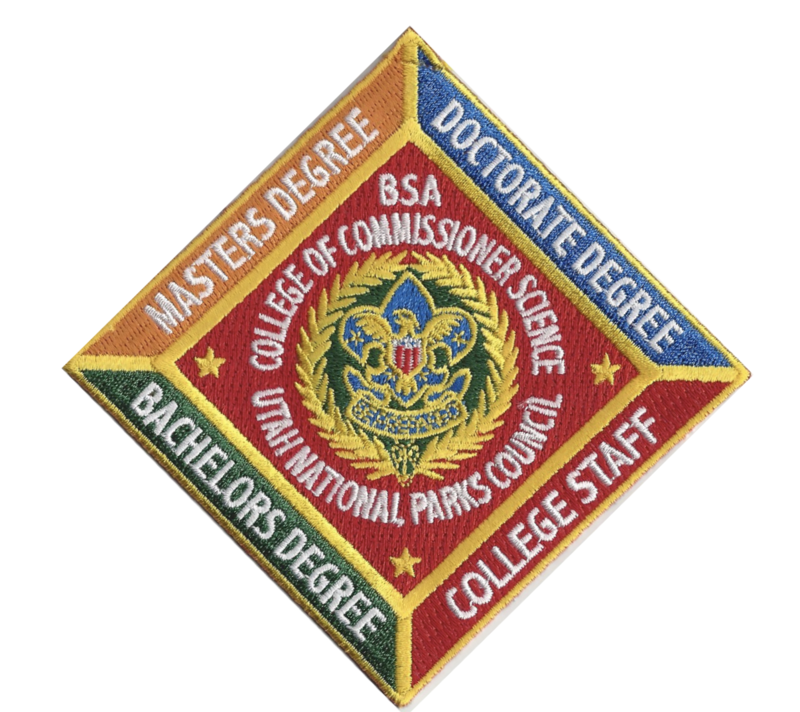 Roundtable Commissioner Basic Training is occasionally offered at a college but is always available on my.scouting. Refunds of fees requested at least two weeks prior to an event will be fully granted (less any down payment). No refunds are given if a registration is cancelled.